Following in the footsteps of his mentor, Inspector Morse, Inspector Robbie Lewis (Kevin Whately) solves challenging mysteries on the streets of Cambridge and in the learned halls of Oxford. He is assisted and bemused by his cool, brainy partner, DS James Hathaway (Laurence Fox, Island at War). Together they tackle murders and mayhem while struggling with existential questions about their own futures - on the force and in their personal lives. Seen on Mystery! 4 feature-length episodes, 6 hrs, 2 DVDs, SDH. 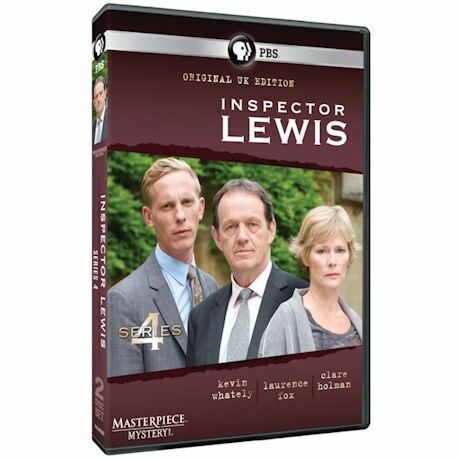 Oxford's last surviving all-female college is bidding farewell to one of its most prominent professors, and a leading light in the feminist movement--but not before Lewis and Hathaway are called in to investigate two murders that may be linked to the college and its decade-old secrets. In the run-up to an election at Oxford's prestigious St Gerard's Hall, the college is shocked by a string of brutal murders, someone seems to be picking off the candidates one-by-one. 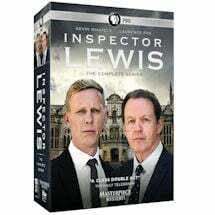 As Lewis and Hathaway investigate further, they become embroiled in a revenge tragedy which began thirty years ago. When a student dies during a controversial clinical trial for a new anti-depressant drug, is it murder or suicide? And as the body count rises, Lewis and Hathaway uncover a web of lies, jealousy, and madness--to which Lewis himself could fall victim. 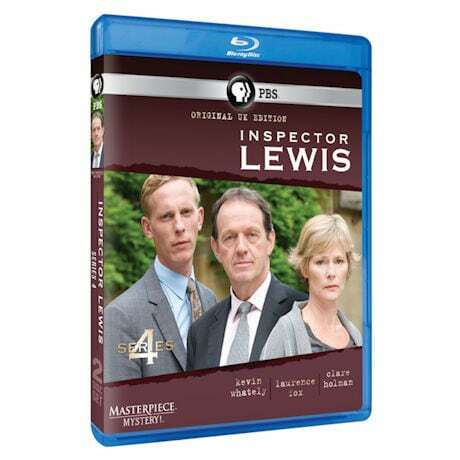 Lewis and Hathaway are called in when local businesswoman Andrea de Ritter is brutally bludgeoned to death in an apparent blackmail plot gone wrong. But if that's true, why is MI5 involved--and why won't they help?